I am obsessed with this moto jacket...the leather sleeves are perfection. Totally investing in a pair of drapey pants this fall. Will be great for post-pregnancy I think! 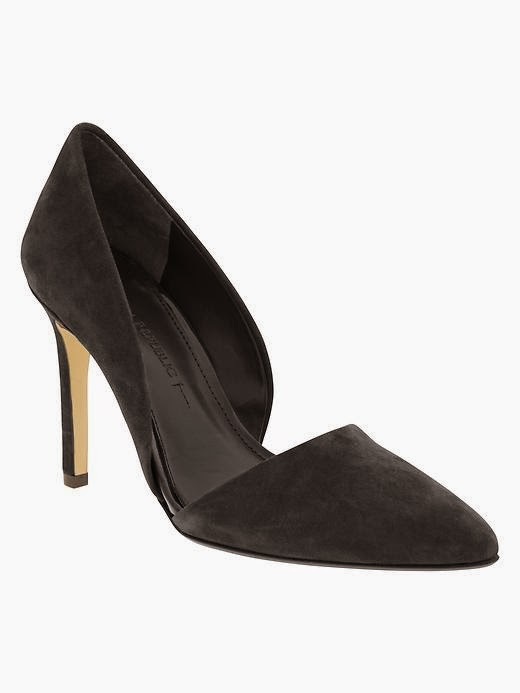 And if I get the drapey pants, then I'll need these D'Orsay heels too! They come in so many cute colors. And this fur sweater...the draping is gorgeous! glad to hear from you and the crossover sweater is the best. wish so. cal weather would warrant that expenditure.